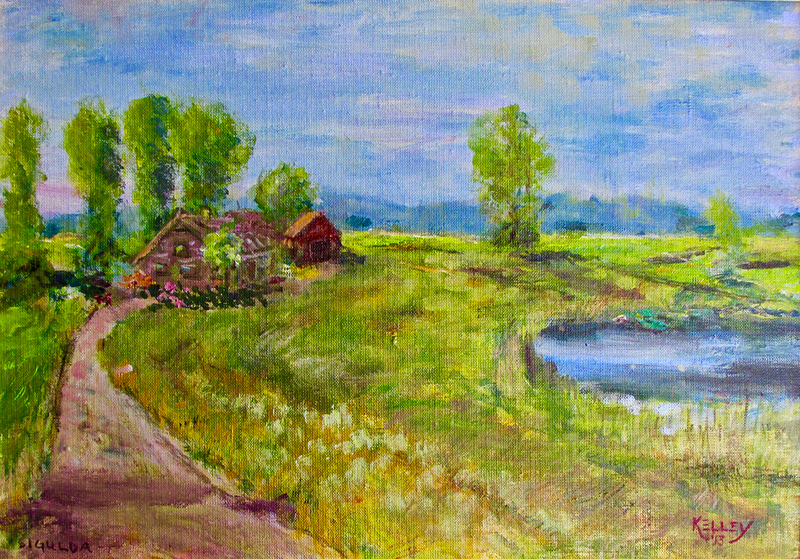 In 2013, I painted this at the request of a Latvian-American in the US who asked me to paint their historic family farm near Sigulda. They supplied a 75 year old photo of the farm, but not of the land. So I recreated the Sigulda countryside and added the farm. The lady was thrilled. Would you like an original painting of your family’s historical farm or home?